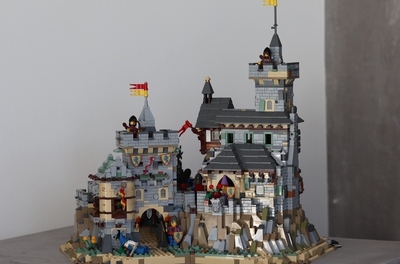 Heavily inspired by one of the best sets from the "Golden Age" of LEGO Castle, this mighty fortress takes the best elements from our nostalgic past and enhances them with modern pieces and building techniques. 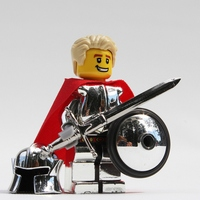 The Black Falcon knights from the 80s are some of the coolest castle minifigures ever made. 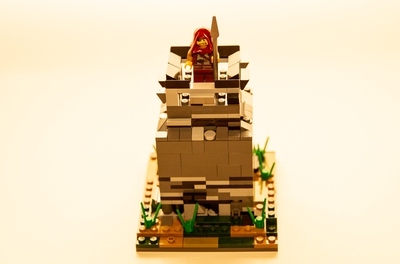 The model includes many elements from the original minifigure design but also incorporates updates such as newer head prints for better characterization. This set features a working gate and drawbridge, and an opening back for easy access and playability. 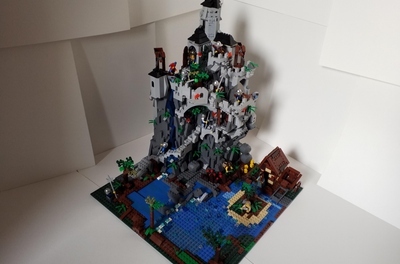 It is time to bring back Classic Castle for a new generation of builders!